Teys Australia offers a strong portfolio of consumer brands built around Australia’s unique position as a clean, green and sustainable producer of superior beef. Over the years, each brand has earned a fantastic reputation for quality, consistency and excellence. By underpinning our key consumer brands with the Meat Standards Australia (MSA) grading system our brands have gained a strong reputation for delivering consumers a consistently tender, juicy and flavoursome eating experience every time. Teys Certified Premium Black Angus has a proven reputation for excellence by combining the superior eating quality of the Black Angus breed and the science of the Meat Standards Australia (MSA) grading system to guarantee an unrivalled eating experience – every time. The Teys Certified Angus Program, which underpins the brand, is third party audited to ensure authenticity and traceability. Grasslands Premium Beef, as nature intended, is produced from free-range cattle that have been raised on natural pastures where they are able to roam and graze in a stress free environment for their entire lives. The Grasslands Beef range is free from antibiotics and added hormones. Grasslands Beef is underpinned by the Meat Standards Australia (MSA) grading system to guarantee tender, juicy beef. It’s your natural choice. Exclusive to Woolworths, the Urban Menu is a contemporary, gourmet, centre of the plate meal solution. Slow cooked to perfection, the Urban Menu range is easy to prepare, delicious to eat and made from the finest ingredients. Perfect for an easy family meal or entertaining guests. Made from 100% Australian Beef, The Cedric Walter range is designed to provide everyday Australians with a nutritious and convenient meal solution. Cedric Walter was one of the four brothers who joined together to create the Teys Group in 1946. It all began well before that when Cedric decided to become a butcher’s apprentice in one of the state-owned shops of the era. He started at the bottom and with sheer hard work and determination he moved up the ranks. With an entrepreneurial spirit Cedric and his brothers opened their own butcher shop in the then working class suburb of Woolloongabba in Brisbane, with a vision to provide quality meat to hardworking families. The Cedric Walter range reflects the vision, values and determination of the man himself. In 1946 four Teys brothers opened their first butcher shop in Brisbane with a vision to provide quality, affordable meat to local families. Their legacy lives on with The Four Brothers beef range. With a longstanding heritage and dedication to craftsmanship refined over three generations, we’re proud to offer an affordable high quality beef range to Australian families. We love bringing people together. Inspired by the communities created through the process of sharing and experiencing shared meats, we make simple, flavour filled products influenced by traditional methods. 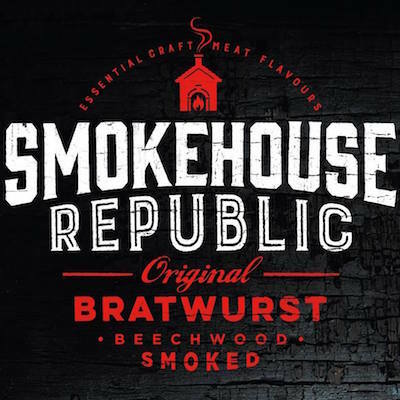 Join the Smokehouse Republic Movement and experience the original recipe for getting people together. Located in South Australia’s world-famous food and wine region, 36° South offers beef of the highest quality. Nurtured to roam the state’s luscious pastures, our products are crafted with pride for unrivalled tenderness and taste. 36° South beef is tender, succulent, full-flavoured and perfect for pairing with your favourite red wine. Similar to our winemaking neighbours, we are committed to a tasting experience that has been meticulously considered at every step of the way, from our fields to your plates.